This morning i feel particularly sleepy, and thus i am indulging myself with a very sugary coffee and with a great song. … for Efficiency. Or at least I tried. This week I was excited, scared, nervous, intimidated, confused, tired, sleepless, clumsy and all over the place. This week I was energetic, positive and optimistic. This week I was both good and bad. 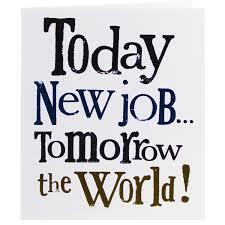 This week was my 1st week on the new job. You win some, you lose some, right? You cannot have it all. So I have this new exciting job, but at the same time, I have to give up a lot of things that used to be on my unemployed person to do list. One thing I was happy to scratch off – no more cover letters ! No more hire me! Hire me! applications ! And no more worrying that time goes by, and the more time I spend in unemployment, the worse my CV looks. However, the other things that I have crossed off that list were : reading, working out, watching informative videos, creating, investing in personal growth, walking/spending time outside, socializing and other fun activities. Well, I did not actually do all of those, while unemployed, but they certainly were on my list. And I was going to get to them… eventually. But now I cannot. Now that I have no time to do them, I suddenly feel the urge to start that book that has been added to my Kindle weeks ago, I suddenly want to know everything about the new emerging technologies, I want to update this blog regularly and I want to work out. So pretty much, I am going back to my things I wish I had time to do list that I had compiled back when I was working for the BlueCo. But no, this time, I am doing things differently. And this is where the E comes in. Yes, I have less time Out of the Office, but what if I use that limited amount of time in the best possible manner? 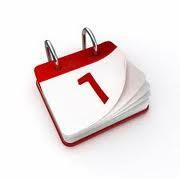 What if I organize myself, what if I prioritize, what if I get into a healthy routine and actually follow it? By definition, efficiency describes the extent to which time, effort or cost is well used for the intended task or purpose (wiki). 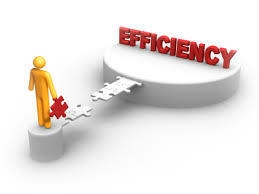 In my case, efficiency would mean using my limited 24 hour window of time by assigning the right amount of effort and energy to each task of the day ( including the personal ones) and considering all the costs involved ( financial, interpersonal, health related) in order to achieve the perfect work/life balance. This is my quest for the optimal, as I call it. This is my plan. Step 1. Gather the will power to get up early and to work out. On Monday, I had set my alarm less than 6 hours away so it really sunk in that yes, I was getting back to employment. But this time I am older, I am wiser, and I know what needs to be done. First of all, going to bed at around the same hour – before 12 – helps. Secondly, my new alarm tones are motivating – I chose a few songs that make me want to get up and sing/dance. And thirdly, I work out. I have to do it – because if I do not do it then, I do not do it at all. And if I do not do it at all I 1. risk turning into a fossil during the day and 2. will never EVER get back in shape for all my planned hiking/cycling activities once spring/summer arrives. Step 2. Master plan to spend less, meet more, eat limited. Eating in the kitchen, versus going to eat out works so far. I get some food from home, which costs less, then I eat with/ see different people every day. Step 3. Work smart… and hard. This week has gone from impossible dark to there might be some hope of a light at the end of the tunnel sometime in the future. So that in itself is progress. They tell me that the most important thing is to not get scared. And yes, that sounds familiar, as I was more or less told the same at the BlueCo. So yes, it is a lot. Very very much a lot. Oh the things I installed on that computer! Oh the documentation I was given to read! Oh the programming languages! Oh the fruit flies that were circling my frowning face! And the thing is, whenever I would squash one of them, another one would come over, giving me this déjà vu feeling of wait, hadn’t I dealt with you already? This week I got to the office before all the people in my team/office/close proximity. And I like that – there is something special about the quiet of the office in the morning, before all the desks become populated, before all the computers start running, before all the voices and emotions fill the air. It feels like the calm before the storm, it feels like the workday is about to start but that somehow it didn’t – not yet, and you have these precious moments to yourself. I try to get out at lunch, and go for a short walk. However that was not possible every day this week – but as I progress in my knowledge/experience, and as the weather will get warmer, I will surely stick to this step. And then, after mu 9+ hours of work, I walk for 25 minutes before getting on public transportation. Clean air, movement, silence and the possibility to gather one’s thoughts. It is just me and the holes in the sidewalk. Step 5. Use your personal time to the maximum – I know that in order to become a great professional, it is important to work smart AND hard, and to dedicate yourself. However, I also know that it is important to disconnect every now and then, to refresh the memory. And I plan to use the hours of the evening to do just that. I work on my personal projects, I read, or I go out and socialize. Week 1 is over, time to regroup for week 2 (deepbreath). As we live in the era of technology – I had not been to the office and I had not actually met anyone from the WhiteCo during or after the interview process. They just told me (yey, after 4 months of unemployment!) that I was hired, and that I should get to the office on Monday, bringing just my documents and my hardworking self. I hate being late – and especially on my 1st day. So I left the house early and I got there 1.5 hours early. I saw the building, went around it a few times just to make sure that I was in the right place, checked out all the entrances and the signs, wondered why the name of the company was not on the panel at the entrance to the Finance and Business Center, checked the watch constantly, got mud all over my boots, decided to go to a nearby supermarket and get some water and shoe cleaners, got back to the building, talked to the doorman and then finally I decided to go inside. I figured I could go to the 3rd floor, freshen up in the bathroom and just be 10 minutes early – acceptable and even encouraged. After going about my business, I was still 25 minutes early. I contemplated the possibility to go and wait at the balcony, but the extrovert in me was not reachable and I felt higly antisocial when I saw that the latter area was populated by those who would most likely be my colleagues… The same urge to just run away appeared when I heard voices in the common room/kitchen, so I went back to the elevators and tried to move to another floor. As 5+ floors had code access, I ended up at the 2nd floor – not knowing, of course, that the 2nd floor was also the WhiteCo. I guess you can run, but you cannot hide. As I approached the 10 minutes early courtesy time, I dared to go into the common area/kitchen, where there were only 2 voices. I can deal with only 2 voices, I thought, but guess what, only a few minutes in, I managed to call one of the guys a lady. It was the typical small talk walk in trap – he said it was better to be early than to be 15 minutes late, as he always is, and I said that yes, ladies sometimes do that on purpose…. He was amused, but now that I think of it, I have not spoken to him since. Hm. Still awkward and still with no sign of the extrovert person that I consider myself to be, I said hi, I hope we will work well together to the first 15+ group of people and then I shook the hands and repeated the names of the other 15+ people that i met shortly after the kitchen incident. And when asked, i said no, I did not want to go to the 2nd floor and meet the people there too. My colleague is nice and positive : his main saying, is that it is always more pleasant to look nice, so i blame him for the fact that i wore a formal dress in an atmosphere where everyone wears whatever they like, including leopard printed slacks and slippers. His other saying, however, came in very handy – both during that first day, and during the 1st week. 1st impressions may be important, but they are certainly not decisive. The quest of the unemployed has ended. And thus here i am, officially moving from the Journal of the Unemployed category to a new one. Yay. Full of hope, excited and nervous. Beginnings are hard, but it is them that get you to where you want to be.